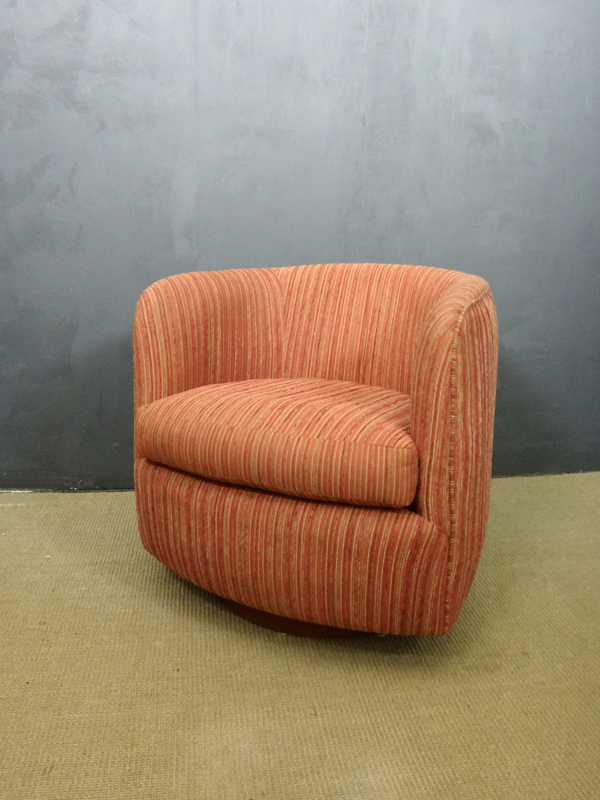 Designed by Milo Baughman, this awesome club chair swivels and rocks as it cradles your body. 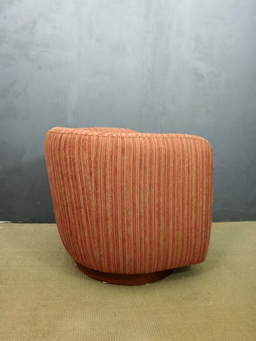 Features an attractive round wooden base. 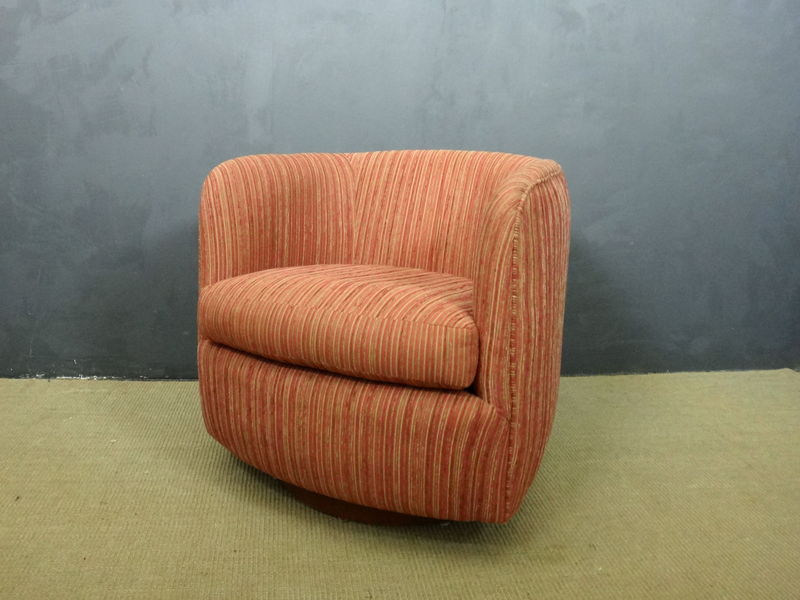 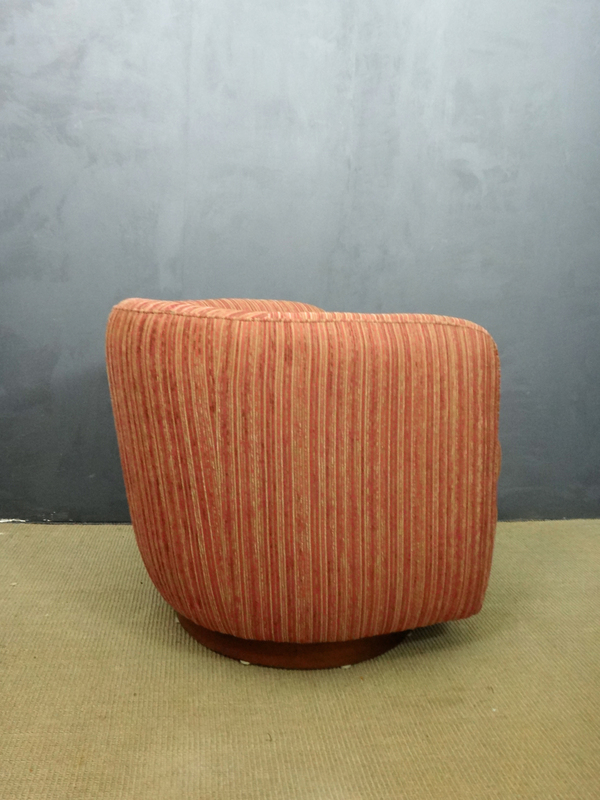 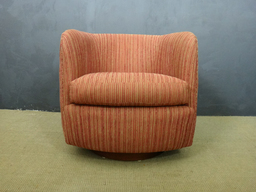 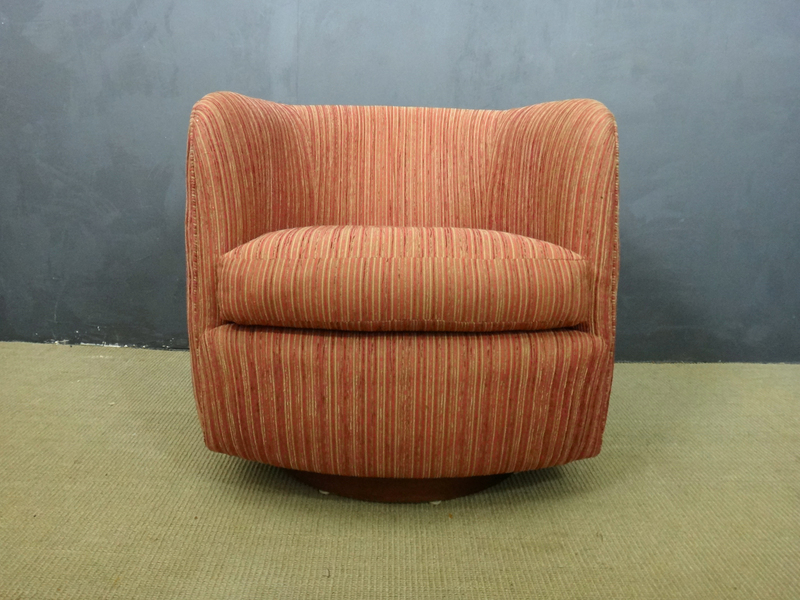 The original upholstery in mini stripped corduroy in reds and pinks is in excellent condition but this piece would also look awesome in a new upholstery fabric. 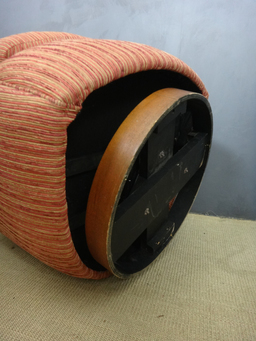 Structurally the piece is in excellent condition.